This summer flew right by and it’s hard to believe it’s September and Labor Day weekend is already over. While Labor Day signifies the unofficial end of summer, I want to share one last summer look. 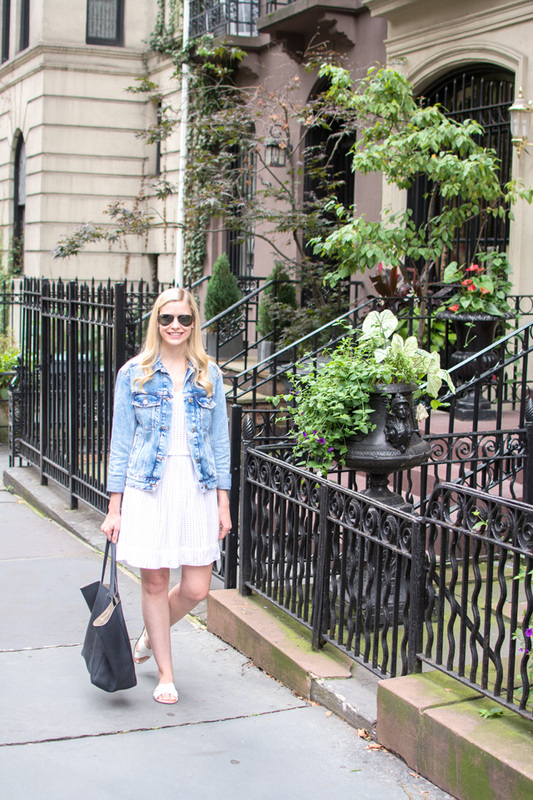 This look screams summer because of my white dress, but this denim jacket will definitely be something I carry over to my fall wardrobe. 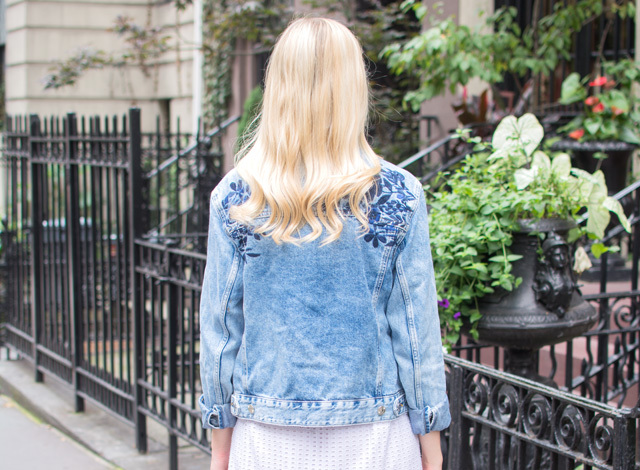 It's the perfect denim jacket with its oversized look and the embroidery on the back is amazing. I bought it on whim and it has become one of my favorite pieces.